Cisco announced the first quarter fiscal year 2009 financial results. John Chambers, chairman and CEO, and Frank Calderoni, CFO, had the following to say regarding the company's results and business outlook. How would you characterize the strength of the quarter, and the strength of the company as a whole? John Chambers: We exit the first quarter of fiscal year 2009 with an extremely strong position in the marketplace. We have approximately $27 billion in cash and investments. We also have solid balance from a product, geographic and customer segment perspective, which we consider perhaps one of the broadest balances across the IT industry. We have achieved continued success in being the number one or number two player in most of our 20+ targeted product areas. We continued to drive an innovation engine that results in product leadership across the broadest range of products that we have had in our history, combined with a product pipeline of new innovations that we believe is also the strongest we have had. Not only is our end-to-end technology architecture, from the device to the data center across any combination of networks, enabling the next generation of entertainment and business models, but we also have what we believe to be the strongest position in terms of customer relationships at the enterprise and service provider level in helping to enable our customers' business goals. Just as we led in the first phase of the Internet, that is, Web 1.0, in both internal utilization and the expertise we offered our customers to enable this capability, we believe we are now uniquely positioned to provide very similar leadership in the second phase of the Internet, through collaboration enabled by networked Web 2.0 technologies. Once again we are leading in terms of our own utilization and partnering with our customers to drive their goals of changing business models enabled by the network. What are some of the financial highlights of the quarter? John Chambers: For our first quarter financials, we were pleased with the following results. Revenue was $10.3 billion, approximately an 8% year-over-year increase. Cash generated from operations was $2.7 billion. GAAP earnings per share were $0.37, a 6% year-over-year increase, and non-GAAP earnings per share were $0.42, a 5% year-over-year increase. We continue to drive innovation and product leadership from our core, advanced and emerging technologies. The following is a summary of each of these areas for the first quarter in terms of year-over-year product revenue growth. Core technologies and services were solid with switching growing at 8% year-over-year, routing growing at 1%, and services revenue growing at 10% year-over-year. Our first wave of Advanced Technologies grew 15% year-over-year. Unified Communications grew 22%. Wireless grew 21%, and Security grew 19%. Networked Home decreased 2% and Storage decreased 4%. Our second phase of Advanced Technologies had a very strong quarter with revenue growth year-over-year of 22%. Application Networking Services grew 25%, and Video Systems grew 21%. Our early stage internal start-ups that we call Emerging Technologies were also solid in the first quarter in terms of year-over-year order growth. Our strategy is to develop a reasonable percentage of these Emerging Technologies into what we categorize as Advanced Technologies with the realistic possibility of becoming $1 billion plus in sales and the number one market position in their respective product categories. Overall progress was again very strong this quarter. While these numbers are not material financially at this point in time, we believe that with proper execution, they can become very significant to our growth rates in the long run. The Emerging Technologies Group orders in total grew approximately 180% year-over-year. We had strong year-over-year order growth from the mid teens to the low 30s in the following countries: China, Canada, Japan, and Russia. Meanwhile we found some of our largest countries such as the U.S., U.K., and Italy with negative order growth year-over-year in the first quarter. How will Cisco address the current financial and global economic challenges? John Chambers: Just as we have done in prior challenges, we will implement action plan for dealing with these challenges while following our playbook for economic downturns. The game plan for the current downturn will have six major points. 1.Vision/Strategy/Execution Model. Fabric for implementation/success. First, we believe our vision of how the industry will evolve is being driven by the increasing role intelligent networks will play as all forms of communication and IT are enabled by the network. Our differentiated strategy enabled by networked collaboration is allowing us to move into market adjacencies with tremendous speed, scale and flexibility. Cisco will remain focused on both the technology and business architectures to enable our customers' objectives. In short, our vision/strategy/execution model is working well and we plan to stay focused on continuing to expand our approach. 2.Collaboration/Web 2.0 driving future growth and productivity. Second, we will continue our rapid expansion of collaborative technologies and new business models in both our product architectures and our own internal IT implementation. We plan to quickly realign resources to focus on over two dozen market adjacencies that will loosely then tightly come together with our core technologies. And, we will be the best example of using Web 2.0 technologies such as TelePresence, WebEx, wikis, blogs, discussions forums, widgets, etc. in an architectural process-driven approach that drives productivity. 3.Resource management and realignment. Third, through our councils and boards structure, we have already realigned over $500 million of resources to these opportunities. Beginning in the second quarter, our goal is to realign another $500 million of resources while at the same time reducing our expenses for fiscal year 2009 by over $1 billion from our original budget. Our goal is to achieve these changes by the end of the fourth quarter of fiscal year 2009. This includes a pause on hiring, as well as reductions in travel, off site meetings, outside services, equipment, events, prototypes, marketing and other activities. 5.Investment in U.S. and Selective Emerging Countries. Fifth, we intend to invest aggressively in two geographies: the U.S. and selective emerging countries. In our opinion, the U.S. will be the first major country to recover. The strategy on emerging countries is simple. Over time we expect the majority of the world's GDP growth will come from the emerging countries. In expanding these relationships during tough times, our goal is to be uniquely positioned as the market turn-around occurs. This is identical to what we did during Asia's 1997 financial crisis. 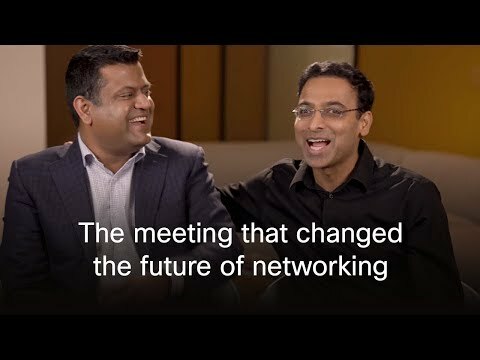 6.Power of the Network as the Platform-Driving the Future of Communications/IT. Finally, we will remain focused on our stretch goal of evolving into the top communication and IT company which will be enabled by the expanding role of intelligent networks. This could be the definition of a very successful implementation of our six-point plan after the inevitable upturn occurs. What are some of the financial specifics for the first quarter 2009? Frank Calderoni: Total revenue for the first quarter was $10.3 billion, an increase of approximately 8% year-over-year. Switching revenue was $3.6 billion, an increase of 8% year-over-year driven by growth in both our modular and fixed switching portfolio. Routing revenue was $1.9 billion, up 1% year-over-year. Advanced Technologies revenue totaled $2.7 billion, representing an increase of 17% year-over-year. Other product revenue totaled $442 million, a decrease of 13% year-over-year, related to our optical and cable business this quarter. Total service revenue was $1.7 billion, up 10% year-over-year with solid growth in Emerging Markets. We are pleased with our growth in advanced services of approximately 15%. GAAP net income for the first quarter was $2.2 billion, flat compared to $2.2 billion in the first quarter of fiscal year 2008. GAAP earnings per share on a fully diluted basis for the first quarter were $0.37, up from $0.35 in the same quarter of fiscal year 2008. Non-GAAP net income for the first quarter of fiscal 2009 was $2.5 billion, flat year-over-year. As a reminder in the first quarter of fiscal year 2008 we recorded a one-time tax benefit of $162M. Non-GAAP earnings per share on a fully diluted basis for the first quarter were $0.42, up from $0.40 in the first quarter of fiscal year 2008, a 5% increase year-over-year and our highest earnings per share to date. The one-time tax benefit in the first quarter fiscal year 2008 was approximately $0.03 per share. Total gross margin by geography ranged from 63.4% for Emerging Markets to 69.0% in Japan this quarter. Across the geographies the margins have remained relatively stable over the last few quarters. Interest and other income was $123 million for the first quarter, including the recognition of realized gains, losses and impairments. We remain very pleased with our diversified, high quality cash and investments portfolio. How is Cisco managing the company's financial position during these challenging times? Frank Calderoni: We do understand that during turbulent economic times like we are currently experiencing, our investors would like a solid understanding of key areas that we believe allow us to perform well. I would start by saying that we believe we are well positioned to manage our business through many types of market conditions. We have nearly $27 billion in cash, cash equivalents, and investments, a solid balance sheet, visibility into our supply chain, strong investment portfolio management, and our Cisco Capital financing arm. These strengths all provide a key competitive advantage. Second, our supply chain management continues to be a key lever in our ability to maintain strong gross margins, while at the same time providing visibility and management of our demand planning. Over the last several years we have significantly enhanced our supply chain capabilities to better anticipate and manage demand. Our lean manufacturing model allows us to more fully optimize our supply chain inventory investment. We have enhanced processes and systems to provide increased visibility into inventory management and better responsiveness to fluctuations in demand. Over time, this has resulted in better lead times, on-time shipment predictability and improved inventory management across our supply chain. Finally, our investment strategy has served us well in this turbulent environment. The overall credit quality of our portfolio is extremely strong with our cash and fixed income portfolio invested in securities with an average credit rating of AA or better. In light of more challenging market conditions over the last six months, we have been more conservatively managing our $27 billion diversified portfolio. This has resulted in slightly less than a 1% mark to market impact on our cash and fixed income portfolio valuation when compared to last quarter. Is Cisco Capital still a viable option for customers who need financing? Frank Calderoni: Yes, our financing arm (Cisco Capital) continues to provide financing to our customers and channel partners, which enables incremental sales of Cisco's products, services and networking solutions. In fiscal year 2008, Cisco Capital originated or facilitated approximately $4.3 billion in lease and longer-term loan arrangement. While the number of credit requests or inquiries has increased in the current environment, we have adhered to our consistent methodology and prudent financing practices. Our thorough review process for monitoring a variety of risk metrics has enabled us to effectively balance risk, reward and sales enablement. We believe there has been no material impact to the quality of our portfolio. We believe that Cisco Capital's on-book lease and loan portfolio remains an excellent use of our own cash. We have not accessed any capital markets for funds to finance this element of our operations. (1) In the first quarter of fiscal 2009, the Tax Extenders and Alternative Minimum Tax Relief Act of 2008 reinstated the U.S. federal R&D tax credit, retroactive to January 1, 2008. GAAP net income for the first quarter 2009 included a $106 million tax benefit related to fiscal 2008 R&D expenses. Non-GAAP net income for the first quarter of fiscal 2009 excluded the $106 million tax benefit related to fiscal 2008 R&D expenses. Additional reconciliations between GAAP and non-GAAP financial measures are provided in the tables that follow on page 10. This executive question and answer may be deemed to contain forward-looking statements, which are subject to the safe harbor provisions of the Private Securities Litigation Reform Act of 1995. These forward-looking statements include, among other things, statements regarding future events (such as our leadership position in the second phase of the Internet, our strategy, our six-point plan for the current downturn, our positioning to manage our business through many types of market conditions, and our use of our cash) and the future financial performance of Cisco that involve risks and uncertainties. Readers are cautioned that these forward-looking statements are only predictions and may differ materially from actual future events or results due to a variety of factors, including: business and economic conditions and growth trends in the networking industry, our customer markets and various geographic regions; global economic conditions and uncertainties in the geopolitical environment; overall information technology spending; the growth and evolution of the Internet and levels of capital spending on Internet-based systems; variations in customer demand for products and services, including sales to the service provider market and other customer markets; the timing of orders and manufacturing and customer lead times; changes in customer order patterns or customer mix; insufficient, excess or obsolete inventory; variability of component costs; variations in sales channels, product costs or mix of products sold; our ability to successfully acquire businesses and technologies and to successfully integrate and operate these acquired businesses and technologies; increased competition in our product and service markets; dependence on the introduction and market acceptance of new product offerings and standards; rapid technological and market change; manufacturing and sourcing risks; product defects and returns; litigation involving patents, intellectual property, antitrust, shareholder and other matters, and governmental investigations; natural catastrophic events; a pandemic or epidemic; our ability to achieve the benefits anticipated from our investments in sales and engineering activities; our ability to recruit and retain key personnel; our ability to manage financial risk; risks related to the global nature of our operations, including our operations in emerging markets; currency fluctuations and other international factors; potential volatility in operating results; and other factors listed in Cisco's most recent report on Form 10-K. The financial information contained in this executive question and answer should be read in conjunction with the consolidated financial statements and notes thereto included in Cisco's most recent report on Form 10-K filed on September 15, 2008, as it may be amended from time to time. Cisco's results of operations for the three months ended October 25, 2008 are not necessarily indicative of Cisco's operating results for any future periods. Any projections in this executive question and answer are based on limited information currently available to Cisco, which is subject to change. Although any such projections and the factors influencing them will likely change, Cisco will not necessarily update the information, since Cisco will only provide guidance at certain points during the year. Such information speaks only as of the date of this executive question and answer. This executive question and answer includes non-GAAP net income, non-GAAP net income per share data, and shares used in non-GAAP net income per share calculation. These non-GAAP measures are not in accordance with, or an alternative for measures prepared in accordance with, generally accepted accounting principles and may be different from non-GAAP measures used by other companies. In addition, these non-GAAP measures are not based on any comprehensive set of accounting rules or principles. Cisco believes that non-GAAP measures have limitations in that they do not reflect all of the amounts associated with Cisco's results of operations as determined in accordance with GAAP and that these measures should only be used to evaluate Cisco's results of operations in conjunction with the corresponding GAAP measures. Cisco believes that the presentation of non-GAAP net income, non-GAAP net income per share data and shares used in non-GAAP net income per share calculation, when shown in conjunction with the corresponding GAAP measures, provides useful information to investors and management regarding financial and business trends relating to its financial condition and results of operations. For its internal budgeting process, Cisco's management uses financial statements that do not include employee share-based compensation expense, impact to cost of sales from purchase accounting adjustments to inventory, payroll tax on stock option exercises, compensation expense related to acquisitions and investments, in-process research and development, amortization of acquisition-related intangible assets, significant gains and losses on publicly traded equity securities, the income tax effects of the foregoing, tax effects of post-acquisition integration of intangible assets from significant acquisitions, and significant effects of retroactive tax legislation. Cisco's management also uses the foregoing non-GAAP measures, in addition to the corresponding GAAP measures, in reviewing the financial results of Cisco. For additional information on the items excluded by Cisco from one or more of its non-GAAP financial measures, refer to the Form 8-K regarding this Cisco's earnings release furnished today to the Securities and Exchange Commission. Copyright ©2008 Cisco Systems, Inc. All rights reserved. Cisco, the Cisco logo, Cisco TelePresence, Cisco Systems and WebEx and are registered trademarks or trademarks of Cisco Systems, Inc. and/or its affiliates in the United States and certain other countries. All other trademarks mentioned in this document are the property of their respective owners. The use of the word partner does not imply a partnership relationship between Cisco and any other company. This document is Cisco Public Information.